The automotive industry has gotten just a little bit smaller. Joining Oldsmobile on the scrap heap of former brands shelved by their creators, Ford Motor Company has announced that their venerable Mercury brand would be closing down after the 2010 year. 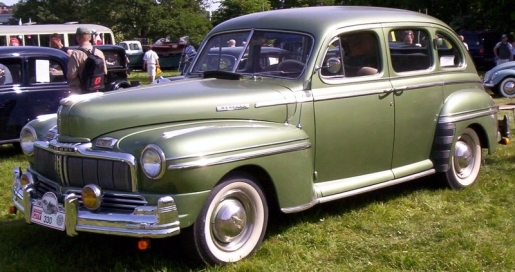 Mercury was started in 1939 by Edsel Ford, son of Ford founder Henry Ford, who wanted the company to produce an entry-level luxury car akin to Chrysler, Buick, and the aforementioned Oldsmobile. And now, it’s gone, a victim of cost-cutting measures and struggling sales. Unfortunately for Mercury fans and Ford fanatics like myself, the car brand has long since fallen on hard times as Ford concentrated on other brands, like the now-sold Volvo and Land Rover, while ignoring its core audience of die-hards. The main benefactor of this increased attention is Ford’s luxury brand, the Lincoln, which will be getting seven new or completely updated models in the coming years. Here’s hoping the L in Lincoln will go back to standing for luxury, rather than lame.